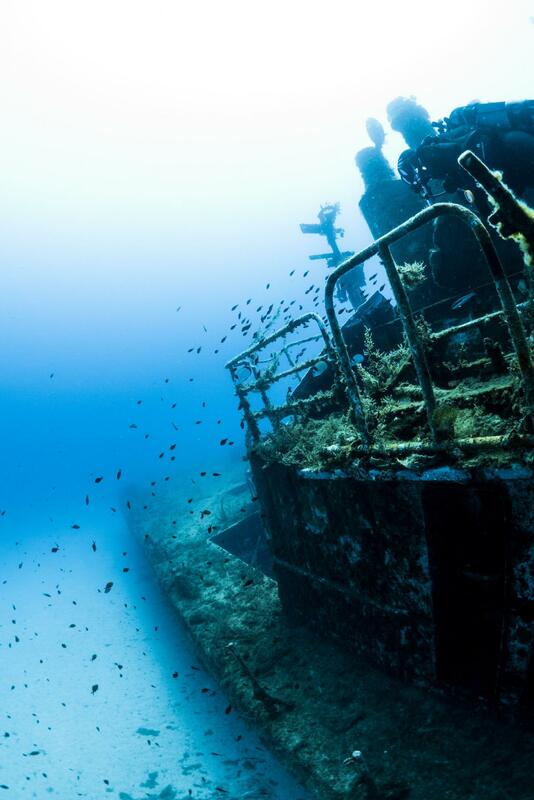 Patrol Boat P29 (Boltenhagen) is one of the two wrecks in Cirkewwa and one of the most popular dive sites in Malta. P29 was a former patrol boat for the Maritime Squadron of the Armed Forces of Malta. She was intentionally scuttled in August 2007 to serve as scuba diving attraction and artificial reef. Before scuttling the boat was made safe both environmentally and for divers. P29 lies about 150 meters off shore from Cirkewwa and approximately 150 m distance from Tugboat Rozi wreck. P29 wreck is 52 meter long, and sits upright at a depth of 34 meters with the highest part at only 12 meters deep from the surface. Many areas were left open for the experienced divers to explore and penetrate the wreck. For divers choosing not to enter P29, there is plenty of aquatic life to view during exploration of the exterior. P29 wreck is usually dived from the shore. During summer season there is a big yellow buoy marking the wreck. When diving from the shore, either surface swim to the buoy, or swim in the midwater. There are two landmarks on the way to make the underwater navigation easier: first a memorial stone on sand and then an old anchor on sea grass area. The commemorative plaque is there in memory of a British diver Frank Pembridge. 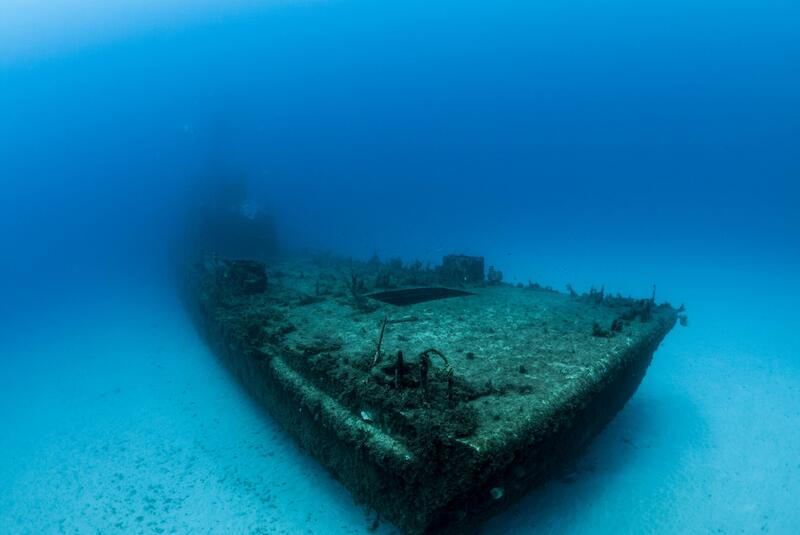 Similar Patrol Boat P31 wreck was scuttled in shallower water off Comino two years later in 2009. P29 was built in East Germany at Peenewerft shipyard in Wolgast in 1969-70 for Volksmarine (German navy). She was a Kondor I class minesweeper, the 18th of total 21 ships built, 52 m in length with a beam of 7 m and weighing 361 tons. Her original name was Boltenhagen (GS09), after a town in Rostock. Besides minesweeping, she patrolled the border river between East and West Germany. After German reunification in 1990, Boltenhagen was used as a patrol boat by German Federal Coast Guard and given a new pennant number BG31. She was the last Kondor I in the German Coast Guard, decommissioned in 1996. The patrol boat was sold to Malta in 1997 and renamed P29. Here she joined her two sister ships Ueckermünde and Pasewalk, renamed P30 and P31, which were purchased to Malta already in 1992. P29 served with the Offshore Command of the Maritime Squadron of the Armed Forces of Malta, securing the Maltese coast against smuggling and doing border control operations. All three Kondor I class patrol boats were decommissioned in 2004. 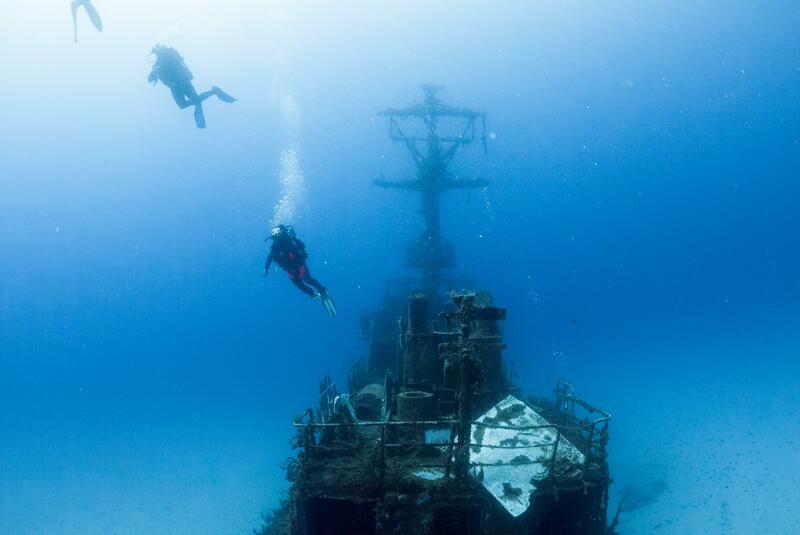 P29 was bought by Malta Tourism Authority in September 2005 to be scuttled as an artificial diving attraction. The sinking of the patrol boat was arranged by Malta Marine Foundation and done by Cassar Ship Repair. For environmental safety, all contaminates were cleaned from the entire ship and both engines removed before the sinking of P29. Both the location and the date were changed at the last moment: the proposed wreck site was shifted by some 30 m to protect seabed, and the scuttling was postponed by three days because of the weather. Finally on Tuesday 14th August 2007 in the morning P29 was towed from Marsa docks to Cirkewwa. The patrol boat was scuttled about 150 m off Susie’s Pool in the early afternoon (watch video). P29 now sits upright on its keel upright on sandy seabed with maximum depth of 34 m, her stern being closest point to the coast, and her bow pointing towards the sea. One of P29's sister ships, P31 was scuttled off Comino in 2009, while the other one, P30 was laid up was laid up in 2013 and is waiting for her destiny at Marsa docks.